Steel railings with Glass, Cable, Mesh, and ADA Compliant Railing, Aluminum Railing System (PRAXRAIL™) and Products and installation for Structural Steel (Volkan Ironworks). Our services are varied, but they all come with the same promise of quality, dedication, and durability. Licensed and insured. We are an experienced contractor with knowledge and experience from 30 years in the business. We work with our clients to bring about the best results. When requesting a quote you will be redirected to our external website. Beauty, safety, and ease of installation all come together. Using a variety of materials and techniques by our dedicated workforce. 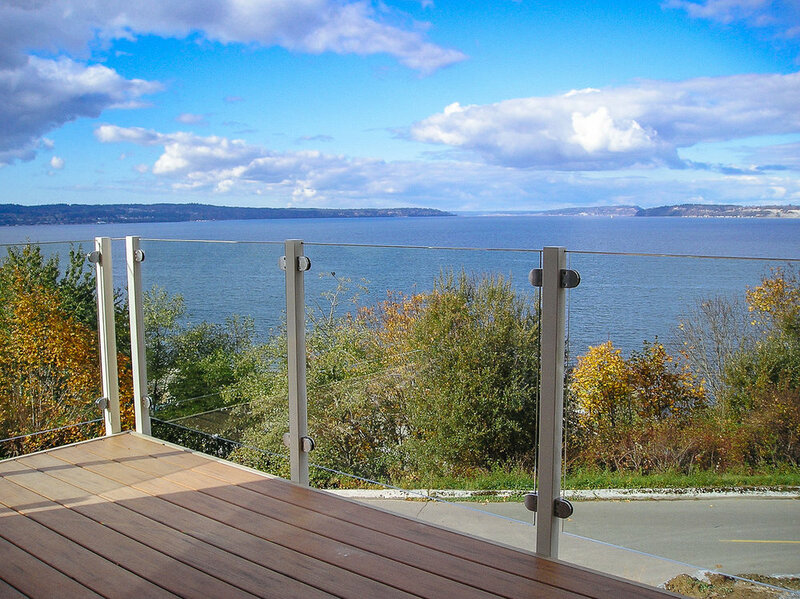 Steel, Glass, or Cable railing can provide an elegant and functional finishing touch to your project. 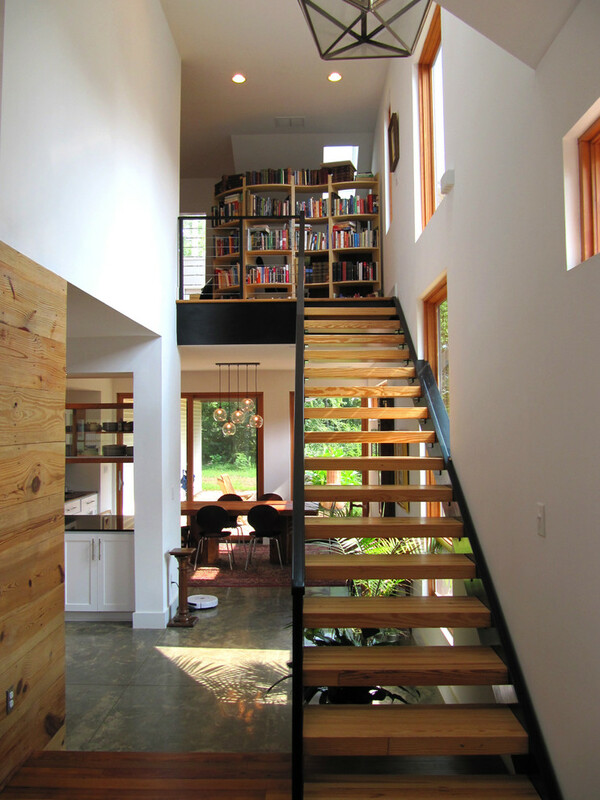 However, it is important for homeowners and architects to understand the difference between the types of materials available, as well as where and how the railing is manufactured, and how it will be installed. We help the homeowner or architect understanding these aspects of the railing, and better manage this aspect of the building project. Steel, Glass, Cable or Aluminum railings added as a part of your project will enhance your home’s curb appeal, but the real benefit is the added safety it provides, both interior and exterior. Whether you need to replace a wobbly old railing or add a new railing we will help you with the estimate and project work. 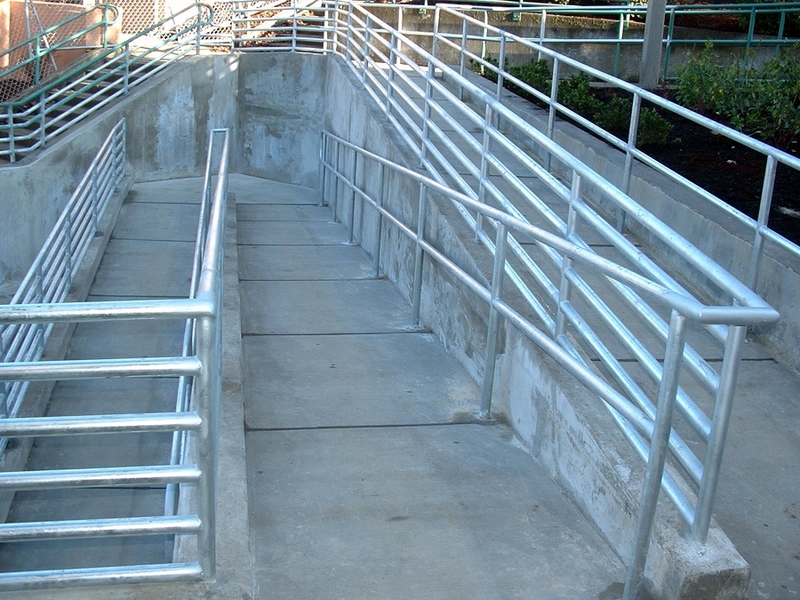 PRAXRAIL™ aluminum railing is engineered to provide safety and high quality. 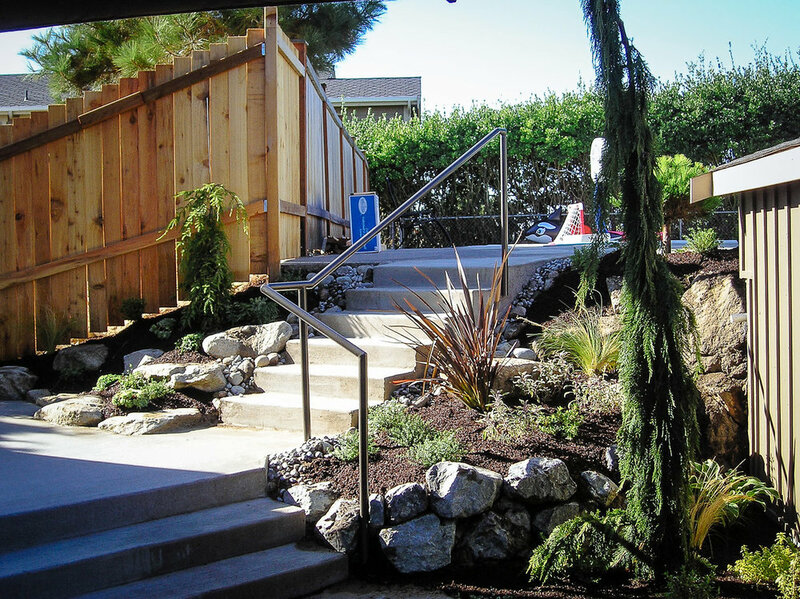 The railing comes together to form a custom look and feel that will work well with your home or businesses landscaping and design. Structural steel is a category of steel used for making construction materials in a variety of shapes. Many structural steel shapes take the form of an elongated beams having a specific industrial design aesthetic. Volkan Ironworks can be used as an industrial design element in construction of residential, commercial and industrial spaces. Large Structural Steel projects for agencies associated with the GSA are our specialty. We are experienced and cost effective in bidding for your project. We only work with the best materials available and provide a 1 year guarantee on all materials & labor. We never compromise quality for time and give our clients realistic schedules. We strive to be the best at customer service and work towards your complete satisfaction. Since the beginning of the development of in Steel, Glass, Cable and Aluminum railing manufacturing we have been diligently working for twenty years. Volkan Railings and its employees have worked hard to become a leader in every aspect of our trade. 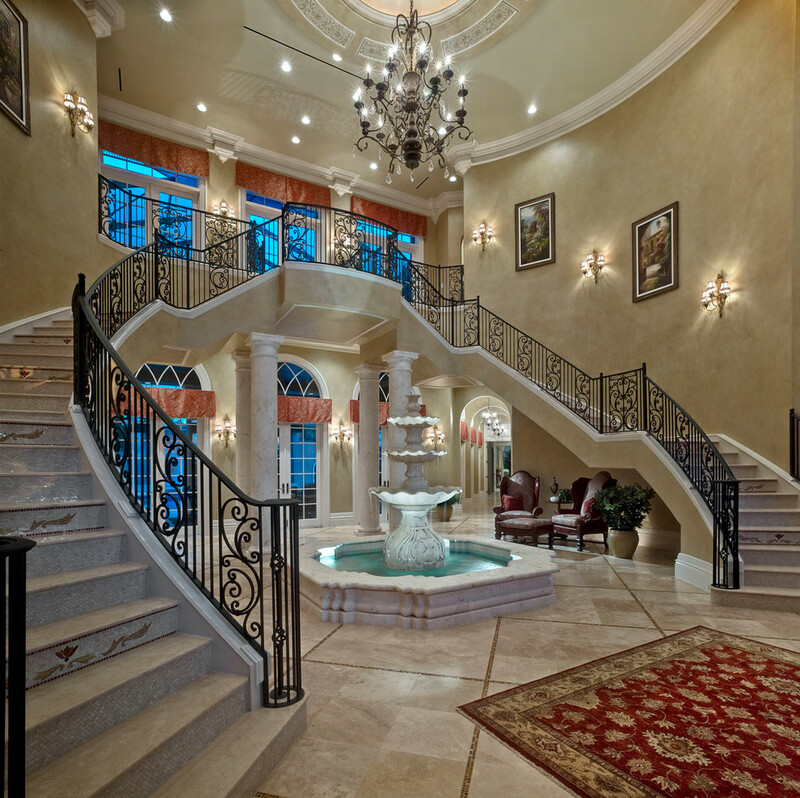 Sustained by an equal mix of durability and beauty, Volkan Railings designs our products to not just to serve a purpose, but to serve an audience. At Volkan Railings we have facilitated progress and innovations with our products such as the Steel, Glass and Cable railings, as well as the newer aluminum PRAXRAIL™ and our work with Structural Steel. We not only work in quality metal, but we are also skilled at our work. Our 20,000 square foot facility and equipment allow us to make superior products that withstand decades of use.